One simple action gives hope for a cure. Your financial gift can help patients afford a transplant, find a matching donor and have a successful outcome. You can help save a life. 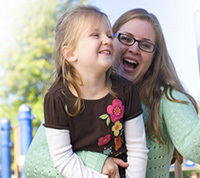 When you donate money to Be The Match®, you’re saving lives. Because of your financial gift, more patients with blood cancers or other life-threatening diseases can get the care and support services they need, groundbreaking medical research can continue and donors can be added to the registry. 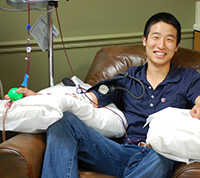 The cure for blood cancer is in the hands of ordinary people like you. Help save a life. A monthly gift is an easy and affordable way to support our life-saving mission all year long. Start your monthly gift now using our secure online form. 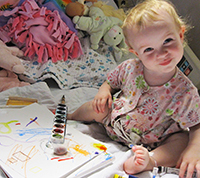 Your financial support helps us deliver more cures to patients in need of a marrow transplant. You can give a one-time gift online using our secure form. You can also give by phone at 1 (800) 507-5427 or mail. Your contribution is vital, which is why we offer many more ways to give financially. Learn more about other ways to give, including memorial and honor giving, workplace giving and legacy giving. Every patient deserves access to a life-saving marrow transplant. 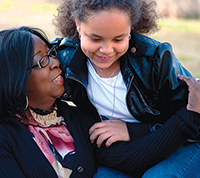 Find out how your gift helps patients in more ways than one.